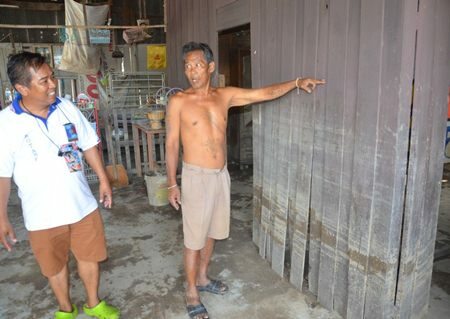 The Rotary Club of Jomtien-Pattaya visited Phanat Nikhom on Tuesday 29th October to see the damage caused by the recent flood, where the town centre roads were waist deep in floodwater. 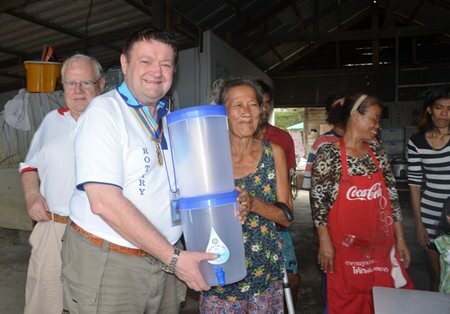 The main reason for the visit was to deliver 100 Water Drip Filters to families whose houses had been under a metre or more during the floods in Phanat Nikhom. This was possible due to a £1,000 donation by a Scottish benefactor, which the club matched from its Community Services fund, to purchase 100 Drip Filters. These units are capable of filtering well or roof gathered water into 6 litres of clean drinkable water. Even floodwater can be cleaned using these Drip Filters, which have a lifespan of 5 years of daily use. Showing the height of the waterline. Using this filter unit prevents people contracting waterborne diseases, caught by drinking unclean water. 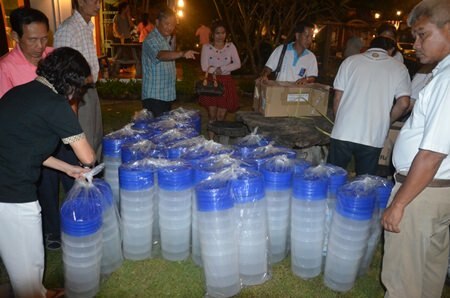 The Drip Filters were supplied by the Rotary Club Eastern Seaboard, who taught members of Phanat Nikhom Rotary Club how to assemble and maintain the filters. 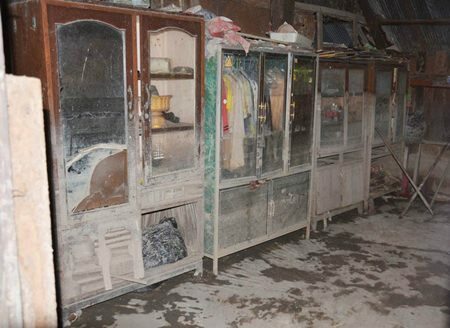 Flood soaked wardrobe and clothes. President Graham and resident with PP Brendan. Which wins “ego” vs “spirit” battles?